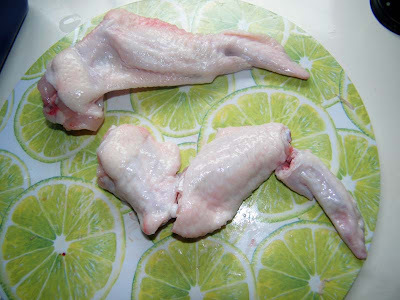 The gist of the process in making the lollipop is to have a look at the chicken wing and you will notice that there are three joints on it. Break the chicken wing in these joints; this will make it easier to chop. The smallest part (the right one at the photo above) is the wingtip. We could not make a lollipop out of it but you can still use it for other purposes, such as chicken stock. The middle section actually has two bones in it. You need to remove one of the bones. And the leftmost part is the easiest to transform because it has only one bone in it. 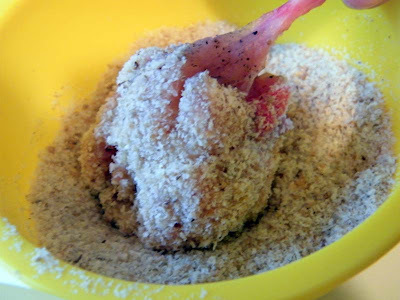 You need to do a combination of scraping and cutting to detach the meat from the bone at one end, and then you can do a bit of cutting and pushing down to move the meat to the edge. 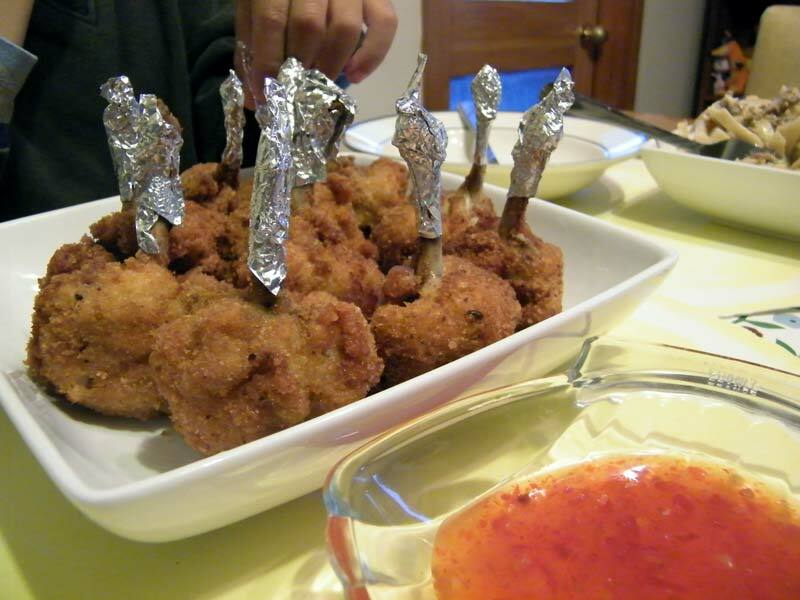 Then turn the meat inside-out to form the lollipop, with the bone as the handle. 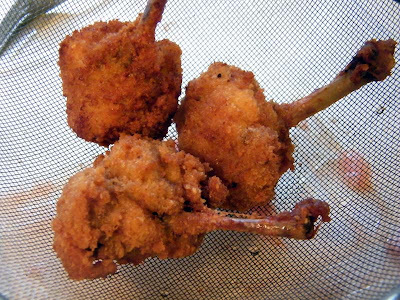 So essentially you have to chicken lollipops in one chicken wing. I took a video of my wife making some of the lollipops. There was a glitch in the first YouTube upload though. The radio was playing in the background, and as such I inadvertently uploaded a video with copyrighted material in it. YouTube notified me of such. So I decided to mute the video and add subtitles instead. So here's a simple video of how to make the lollipops from the chicken wing. 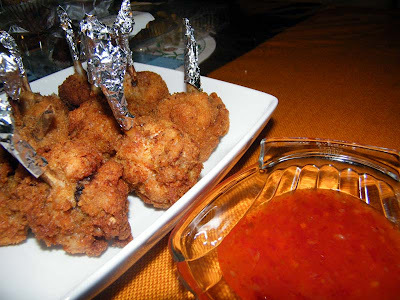 Season the chicken lollipop pieces with salt and pepper. 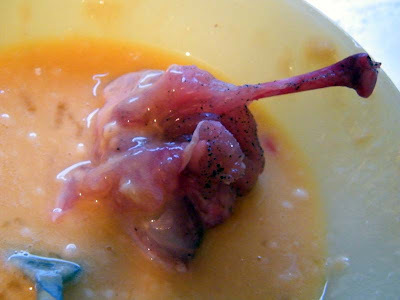 In a bowl, mix the scrambled eggs with the flour. Place the breadcrumbs in a separate bowl. Deep fry over medium heat until pieces are golden brown. 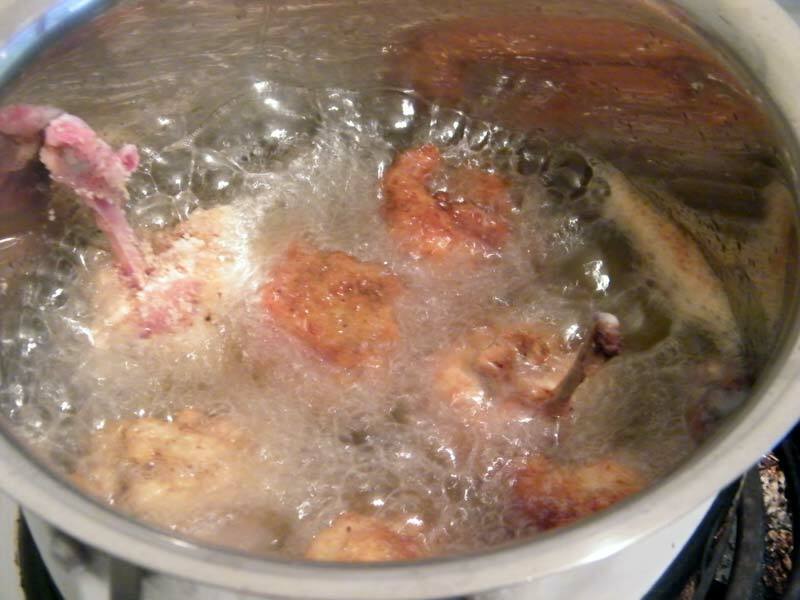 Place on paper towels or on a strainer to remove extra oil. Roll a bit of aluminum foil around the handle if you want to be fancy with your presentation. Otherwise, it's good to go with ketchup or sweet and sour dip.